Fara Tan APRN – BC, MSN, MSCN, AGCNS-BC collaborates with Dr. Leo Germin to provide whole person nursing care for adult patients for illnesses including but not limited to multiple sclerosis, secondary stroke prevention, and chronic neurological conditions. Fara Tan, APRN completed her undergraduate degree and masters degree in nursing at Loma Linda University School of Nursing, Loma Linda, California. APRN Tan is Board Certified by the American Nurses Credentialing Center, a subsidiary of the American Nurses Association. 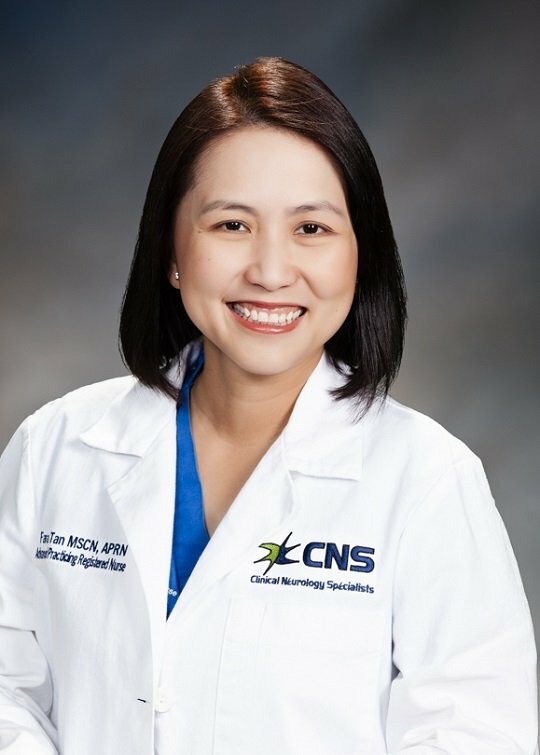 Fara Tan APRN is a Multiple Sclerosis Certified Nurse by the Multiple Sclerosis Nurses International Certification Board. Fara Tan, APRN is a member of Sigma Theta Tau Honor Society, National Association of Clinical Nurse Specialists and Nevada Advanced Practice Nurses Association. Fara Tan APRN is a full time advanced practice registered nurse.